Two weeks back CHOSA staff had the opportunity to attend an amazing conference about early childhood education sponsored by UNICEF, the Centre for Early Childhood Education, and PRAESA. It was a great opportunity for our project coordinators to learn more specific approaches to early childhood development (ECD) that could be passed on to all of CHOSA’s partner organisations that run crèches (preschools) or work with young children. This conference also gave CHOSA a chance to network with other individuals, organisations, academics, and policy makers who work also work to educate and develop the children of South Africa. The conference was structured in a way that there were both speakers addressing the entire assembly of attendees, as well as breakout group sessions that brought attendees into more of a classroom like sessions. In the smaller sessions attendees where taught about approaches to incorporate lessons of maths, science, writing, and reading in fun and simple ways, evolving from the play children are already taking part in throughout their daily crèche routine. 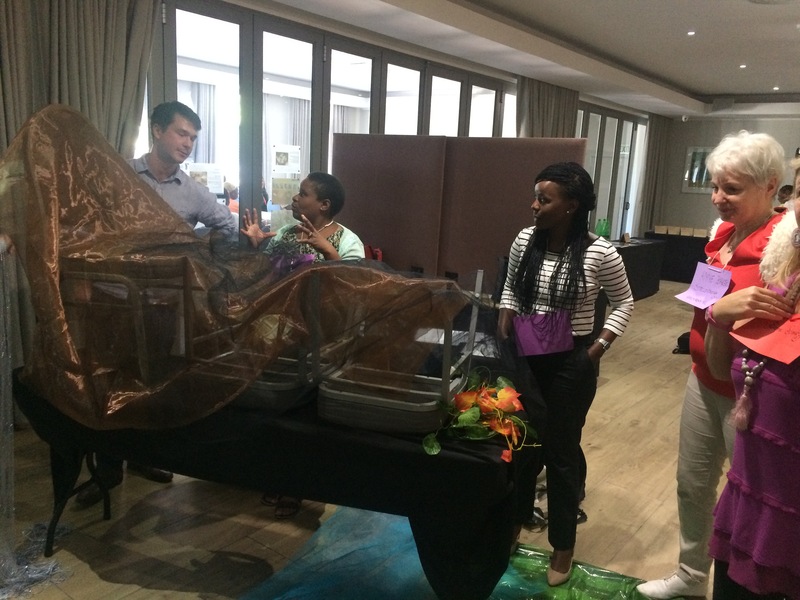 But what was most fun about this ECD conference was the interactive nature of the smaller group sessions. These sessions took me back to my days of crèche and play, and allowed me to engage with the materials and lessons that they were teaching us about, through teaching us as though we were the crèche students. We were taken through a session about story telling, where we were read “The Three Billy Goats Gruff”. We sat on the floor and listened as the teacher read. Then we were told to create what the monster’s house looked like through use of fabrics and clay and all kinds of other fun materials, creating a grand masterpiece that incorporated tables and chairs into the design (almost lifesize!). During our time of monster house construction, a hand written note from the monster himself was delivered! I was immediately transported back in time to this kind of carefree nature of learning, and absolutely loved allowing my imagination to freely flow and enjoyed re-enacting my learning in this kind of environment again. I can only imagine how much a child might enjoy a lesson taught to them in this manner, as I, an adult, was having a blast! Beyond time traveling back to my childhood, I think the biggest take away that the CHOSA team received from attending this ECD conference was discovering the simple additions that could be made to lesson plans in order to further a child’s knowledge around subjects that will be imperative to their success later on in their educational career. And, most importantly, these additions intentionally were developed with no extra cost component, identifying that one doesn’t need to spend money on expensive resources or materials in order for children to learn. Rather all of the suggestions provided throughout the conference could be implemented at little to no expense, rather only requiring an application of creativity. The teachers of the conference sessions were self-proclaimed “trash queens” who salvage most household resources, such as toilet paper rolls, empty water bottles, and popsicle sticks to add to their learning in their classrooms. The simple act of filling a bucket with water, and placing cut water bottles inside, allowing the children to play with the water and these containers teaches crèche children about volume. It’s that simple! And the children don’t have to understand the greater specificity behind such concepts, but just that they hear such words being referenced gives them a solid foundation to take with them into their more formal education once they reach primary school. These are the types of tricks that are so applicable to each of our partner organisations that work with young children, as there is no cost associated with giving them the knowledge that they need for future success in school. And it’s fun! We at CHOSA have already begun to transfer what we learned at this valuable conference with the principals, teachers, and caregivers that work in our partner organisations, and we cannot wait to see the smiles on the children’s faces when they too get to read “The Three Billy Goats Gruff,” create monster homes, and receive letters from the monster himself!